Word has traveled widely about the home going of Dr. Charles Ryrie. As someone whom he befriended and who has defended his overall approach to the Bible, I thought it appropriate for me to share my thoughts here. I came to Christ in 1974 partly through the ministry of a local church – West Huntsville Baptist Church in Huntsville, Alabama. It was that church and the pastor of that church, Dr. Sam Wolfe, who pointed me in the direction of reading books by “Dallas Seminary men.” Dr. Ryrie was of course one of them. Early in my Christian life, I was an aerospace engineer/computer programmer who shared an office with a Reformed Presbyterian friend Mark Scot. We swapped resources. He gave me a copy of G. I. Williamson’s Commentary on the Westminster Confession of Faith and I gave him a copy of Ryrie’s Dispensationalism Today. I have never left my traditional dispensational roots although I have grown in my faith and in understanding the Scriptures. When I went into ministry and eventually became a pastor, seminary professor and then Dean, I found increasing opportunities to use some of Dr. Ryrie’s insights in my teaching. I have for over 20 years used his book on dispensationalism as a text in a course I teach on dispensational premillennialism. I have defended some of Ryrie’s points (such as the famous sine qua non) at conferences, in sermons, in print, to my students, and in conversation with other Bible scholars. I had the wonderful honor to be a speaker at conferences where he also spoke. He came to our Baptist Bible Seminary on at least three occasions to do lecture week or special conferences. When we started the Council on Dispensational Hermeneutics in 2008, he came to help support our beginning steps. He was gracious and humble and always let us know that he was not a pastor but a lay teacher. He graced me with his presence in my office and let me pester him with theology questions. While some of the scholarly world viewed him as oversimplifying biblical truth, I found him committed to the Reformation cry to get the Bible in the hands of the common man so he can understand it for himself. He wrote and spoke so people could understand him. His approach was, in a word, refreshing. In my presence, I never heard Dr. Ryrie make a disparaging mark about anybody. Disagreement, yes. Disparagement, no. He was a quiet and unassuming man. He was flawed like all of us are, but not fatally flawed since he had trusted in Christ as payment for his sin. He was in love with Christ and His Word. He has helped many of us find the Bible more approachable through his teaching. Dr. Ryrie supported my school financially from time to time as he did many ministries across the world. But that large heart also cared for individuals like my own children who still remember the humor he showed in a lunch we all had together. It is hard to think of him gone from us. It is easier to think of him as with his Lord. The world has lost a great man. It is a loss for me personally. “Dispensationalism today” will never be the same. But many of us believe in the literal promises of the Bible like Dr. Ryrie did – promises for both Israel and the Church. And as long as there are folks like us who do, Dr. Ryrie’s legacy will continue. This entry was posted on February 16, 2016, 9:34 PM and is filed under Dispensationalism. You can follow any responses to this entry through RSS 2.0. You can skip to the end and leave a response. Pinging is currently not allowed. Thank you for sharing. Although I have never met the man, I believe I knew him from his writings. I have been greatly blessed through the years by his many books. One of my first books was His Survey of Bible doctrine. He was a champion on dispensational truth. I look forward to meeting him in Heaven someday. Finally sat down to read this thoughtful tribute, Dr. Stallard. Thanks for your post, as I plan to share it with my Revelation SS class on Sunday. 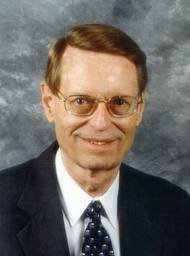 Dr. Ryrie’s life and ministry in defending dispensationalism will live beyond his passing! While we will miss his earthly presence, his work has influenced me and formed my theology forever! While I did not have a chance to meet or talk with him, I was blessed by his writings. I am looking forward to meeting him in heaven in the future.